Tamiya TA53689 a 540-J size Stock Motor from Tamiya. 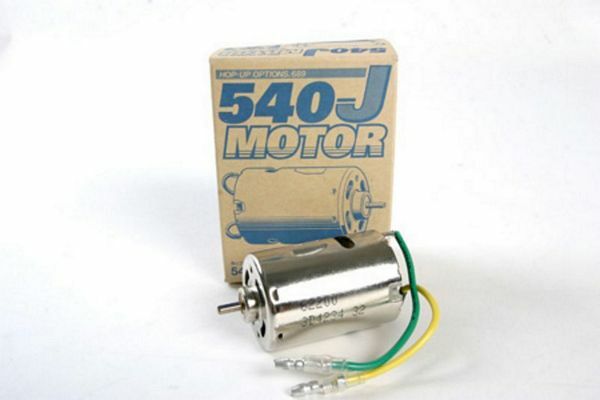 This is TA53689 a 540-J size Stock Motor from Tamiya. COMMENTS: Motor becomes hot after running. Allow motor to sufficiently cool before touching. Please continue checking back, pricing and availability are subject to change. Additional information will be amended when it becomes available. We apologize for the inconvenience. Thank you! Por favor, continue revise de nuevo, precios y disponibilidad estan sujetas a cambios. Informacion adicional se modificara cuando este disponible. Pedimos disculpas por las molestias. Gracias.